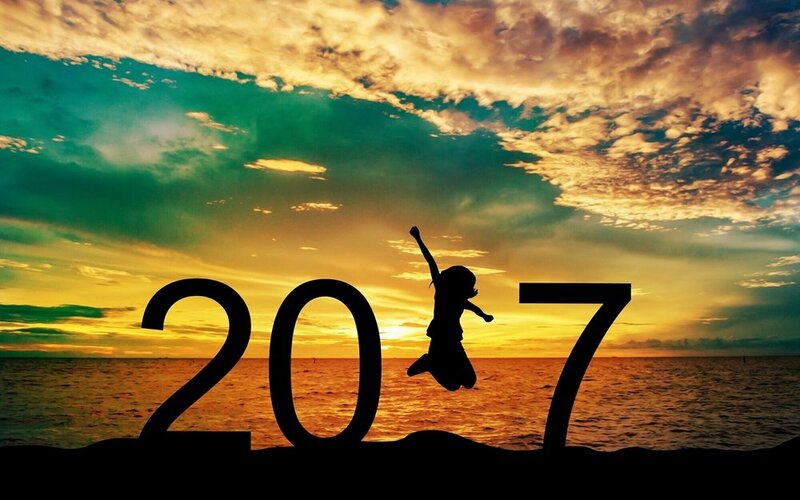 Happy new year, and welcome to 2017! This first Benefitness Blog of the new year is all about finding what you’re capable of. Why? Because this is the time of year when people tend to hit the reset button, set their resolutions, and have great hopes of big things to come. From the time we are young, we are raised to think, act, and behave in certain ways. What we hear and the feedback we receive during these early years shapes the beliefs we each have about what we are capable of. And our actions through the years reinforce those beliefs. If you were told by others when you were young that you couldn’t do something, that belief likely took hold, shifting over time from “you can’t…” to “I can’t…”. Why do I believe those words are so damaging? The minute your mind says you can’t do something, it begins to build mental walls to keep you safe. And for every year that passes inside a comfort zone, the walls of that comfortable space get tighter and tighter. If you, like me, have ever told yourself “I can’t,” I challenge you to find something you didn’t think you could do, and commit to giving it a try. Yep, right now, challenge yourself. Push back some of those walls. Take this year and get out! Do something you didn’t think you were capable of, however big or small. OK, easier said than done, right? So how exactly do we go about it? I'll give you five quick tips here to get started. In case you’re not familiar with us at Benefitness Partners, we’re a corporate fitness company, and we work with other companies and non-profits to help their employees, volunteers, and donors live active, healthy lifestyles. With that as our point of reference, we encourage you to focus on some kind of health, wellness, or fitness goal, but know you can apply these same principles to any aspect of your life. 1) Recognize that hope is not a strategy. We can have great hopes and all the optimism in the world, but without specific goals, don’t expect results. Here’s why, in the simplest terms I can think of… hopes rely on other people, actions, or things to come to fruition. You have no control. Goals, on the other hand, put the power in your hands. Using the old SMART approach, a goal that is specific, measurable, achievable, realistic, and timely gives you the ability to take action and set a plan that moves you in the right direction. By setting goals, you control the agenda! I don’t care just how big or small you might think your goal is – I promise there are other people who like or want to do the same thing. These are the people who, if you let them, can show you what is actually possible. These are the people who can prove to you that the words “I can’t” don’t need to be in your vocabulary. Is it intimidating to step into a new, unfamiliar group? You bet. But do it anyway. Trust me, you’ll be glad you did. I can only offer my own experience as a guide. I was a 40 year old, slightly overweight, extremely busy professional who traveled almost every week when I decided to take on a lifelong, seemingly impossible dream of finishing an Ironman triathlon. I had never belonged to a gym, and could barely swim 2 laps in a pool without gasping for air. But with a little push from my wife, I joined a gym and started talking to others who had finished Ironman events. Instead of them telling me how hard it was and bragging of their own accomplishments, what I found was a group of people who literally were excited to bring me into their circle and teach me the ropes. They had found a way of life that they loved to share with anybody who wanted to be part of it, and I found it to be infectious. I owe so much to this group (and if you’re reading this, you know who you are) for showing me that what I thought to be an impossible dream was in fact very achievable with a little (OK, a lot of) hard work. Whether you are thinking about walking your first 5K, getting a PR in a half marathon, or something crazy like riding a bicycle across the country, there are others who can share their own experiences and help you see what is possible. Find your tribe and let them give you the confidence to stay on track. What happens when a tree falls in the forest but nobody is around to hear it? Does it make any sound or not? The same concept applies to the goals we set. If you set a goal, but don’t tell anybody, are you disciplined enough to stick with it? This is actually great to think about in concert with finding your tribe – telling other people who have similar ambitions is a surefire way to get support that will keep you heading in the right direction. It’s amazing just how much telling somebody else about your goals helps you hold yourself accountable. And it’s never been easier to let your friends know what your goals are… whether you’re partial to Facebook, Snapchat, Twitter or Instagram, throw it out there to the world! It doesn’t matter what your level of experience is. I can guarantee you that someone else out there will find motivation in what you say or do. If you’re taking on something active for the first time ever, share your experience with someone who may also be thinking about taking that first step. If any of us is to shift our belief from “I can’t” to “I totally can,” we need to know that what we’re taking on is, in fact, possible. And for all my fellow gym members out there, this one is aimed straight at you. We all know just how crazy things are at the gym this time of year. New Year’s resolutions pack our classes, treadmills, and weight rooms. Yes, you must park further from the front door, show up earlier to get a spin bike, wait for the leg press machine, etc. We see it every year, and while it can be mildly frustrating to have our routines disrupted, think about the impact you can have by taking somebody new under your wing. It’s intimidating enough for someone who’s never been in a gym just to walk in the door - the least we can do is welcome the newcomers and applaud them for being there! Back to my own experience not all that many years ago, I am so thankful to have found a friendly, supportive group that took me in and welcomed me as one of their own. As another friend likes to say, be the good! 5) Don’t let perfect be the enemy of good. Last, but not least, the most common reason resolutions fail is that we try to make everything perfect. If your goal is to jog 20 minutes every day and you miss a day, should you give up on the goal altogether? NO! And yet, that’s exactly what happens. For all of us, reality dictates that it’s not always possible to fit everything into the limited time we have each day. The newer you are to an active lifestyle, the easier it is to fall victim to the trap of feeling like your goal is an all-or-none endeavor. But here’s what you need to know, and it’s what we tell all our clients: some activity is better than no activity. It sounds so simple, but the great thing is there is science to back us up… regardless of what you eat, where you live, and a host of other factors, people who are active tend to live longer than those who aren’t. (Check out our full article on activity here) So if you miss a day or two, just pick back up where you left off and keep going. If you’ve gotten this far and are still feeling self-conscious about taking a first step, let me say this. I know just how difficult it is to decide to do something that scares you. Do it anyway. Life is too short to be trapped in an uncomfortable place. And if you’re worried about what others think, don’t. I have more respect and admiration for those who try and fail than those who never try. If this speaks to you, do me a favor: share this and tag a friend who could benefit! And please let us know what your goals are for 2017… we’d love to be part of your tribe! Corey Dillon is Chief Engagement Officer of Benefitness Partners, a Denver-based company committed to the health and wellness of companies and their employees. His personal goals for 2017 include competing in the country's highest altitude marathon and two Ironman triathlons, and he will be targeting a new PR at Ironman Arizona on November 19. With a focus on event-based coaching, Benefitness Partners gets employees moving in a fun, educational, and inclusive manner, helping companies develop a healthier, more engaged workforce.